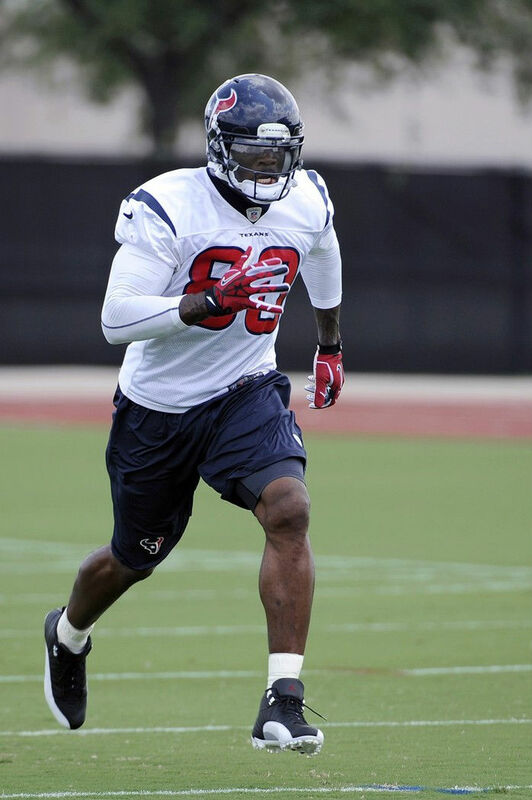 Johnson begins the long road to Super Bowl XLVIII in cleated Jordan retros. NFL OTAs are officially underway for the summer, marking the return of the league's best to the field as teams begin the long road to Super Bowl XLVIII. One of the teams expected to be in the mix at the end is the Houston Texans, who started their workouts yesterday at Methodist Training Center. For the first session, six-time Pro Bowl wide receiver Andre Johnson laced up a cleated version of the Air Jordan 12 "Playoffs." Johnson is one of five wideouts on the Jordan roster, which recently added Dez Bryant of the Dallas Cowboys. Those of you gearing up for a new football season — would you like to see the Jordan Brand put cleated retros back on the market? 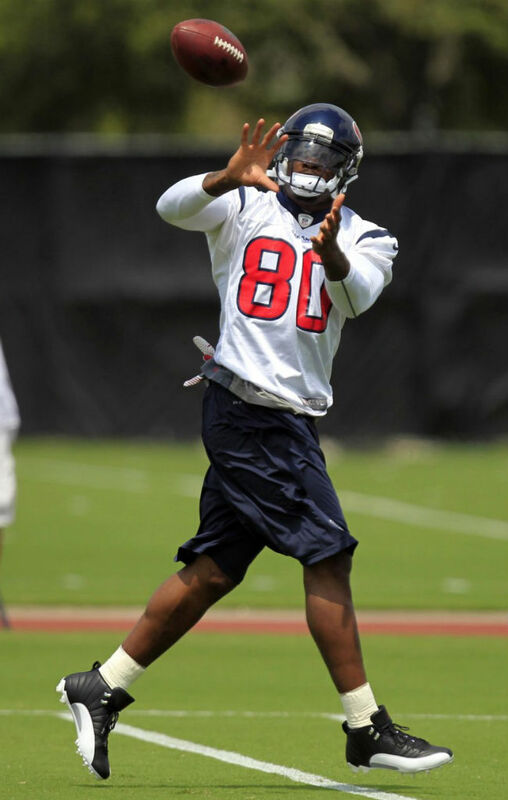 Check out a few shots of Andre at Houston's OTAs and share your thoughts below.